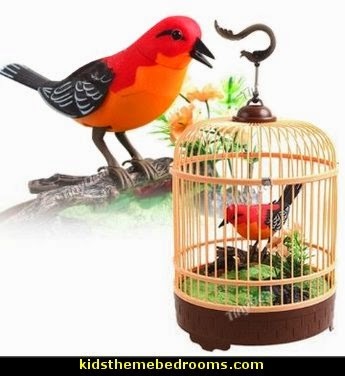 What’s better than opening your window for an early morning concert from the chirping of birds? 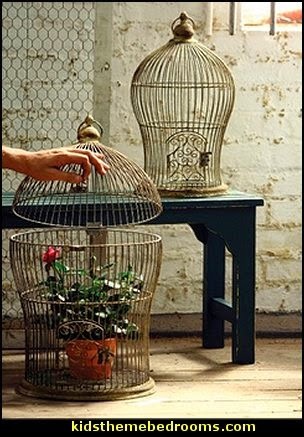 A birdcage can be functional and also decorative! 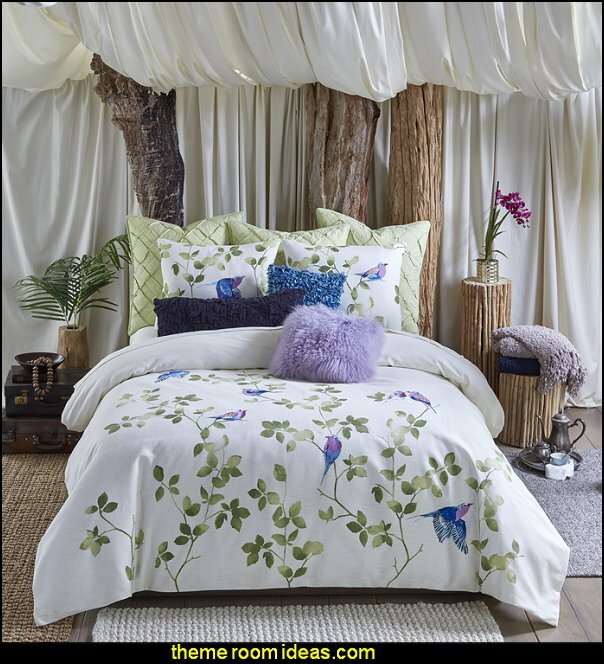 Inspired by the lilac breasted roller, the iconic bird native to Africa, the luxurious lemala 3 piece duvet collection features printed and embroidered birds in bold, vibrant colors. 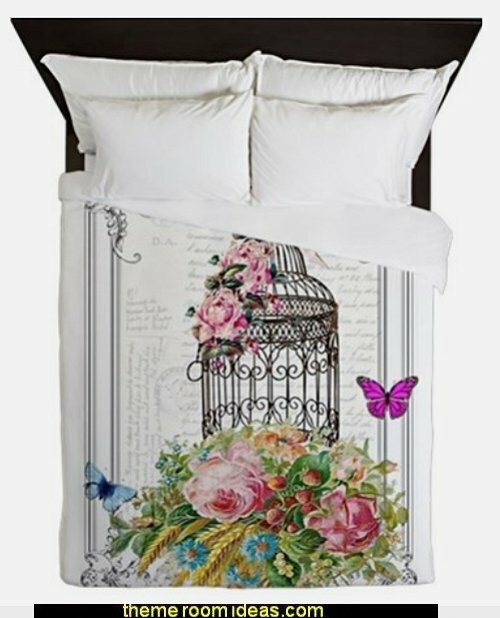 Duvet features four embroidered birds; remaining birds on duvet and shams are printed. Reverse is solid ivory. 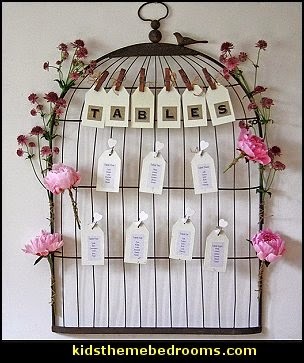 What a lovely way to display your favorite photos or greeting cards- suppose you could keep up with your bills on it as well, but who wants to do that. 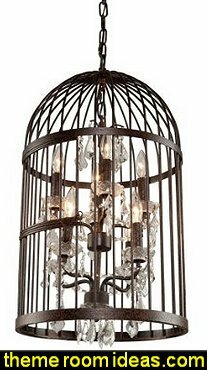 She's only a bird in a gilded cage, or she will be when seated in this birdcage-shaped accent chair rendered in iron and linen. Sweet as can be, this adorable My Baby Sam Pixie Aqua baby bedding is a beautiful collection in pink and aqua paisley and polka dots. 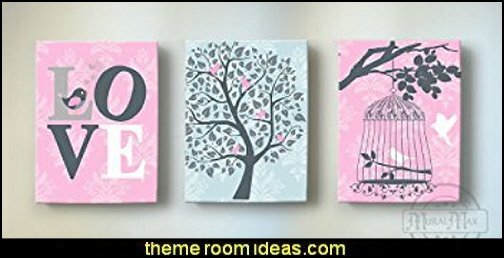 Create your own, personalized nursery decor for baby girls crib and little girls bedroom too! 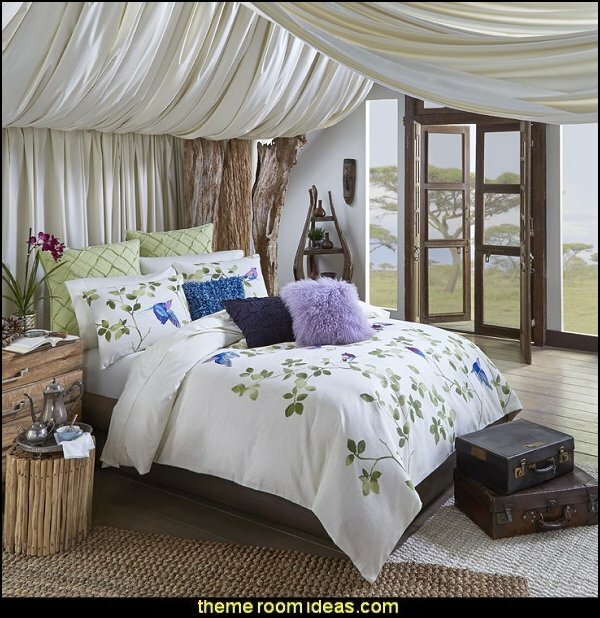 You’ll love the beautiful ensembles - the duvet cover sets come in twin and full sizes, for the older child’s bedroom, that coordinate beautifully with the nursery bedding. 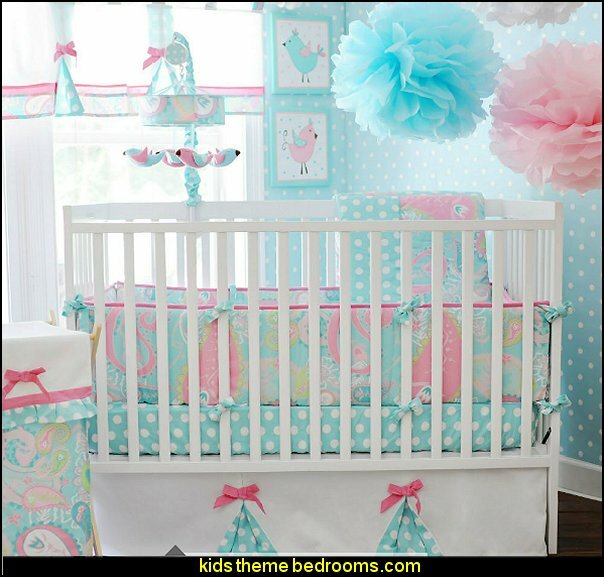 Crib sets include quilts, duvet covers, fitted crib sheets and bedskirts. The separate accessory options with the My Baby Sam Pixie Aqua baby bedding collection are numerous, allowing a customized approach that suits all budgets and imaginations. The crib sheet options are lovely; there’s one in aqua with white polka dots and also bumperless crib sheet - both feature 8 inch deep pockets. Terrific a la carte items like a bumper, changing pad and diaper stacker, take care of the practical necessities. 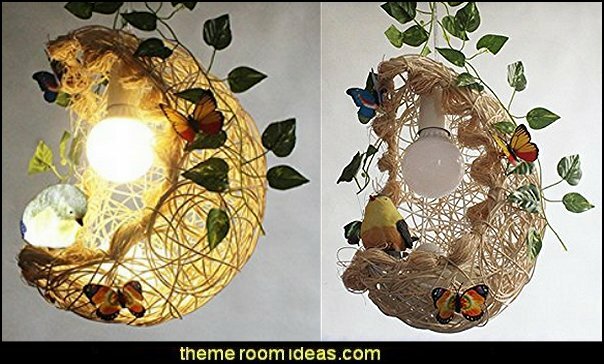 Decorative pieces really add to the fun with a super cute polka dot rug, an irresistible paisley laundry hamper, a cute polka dot lamp, musical mobile, night light - you name it, everything you need is here! 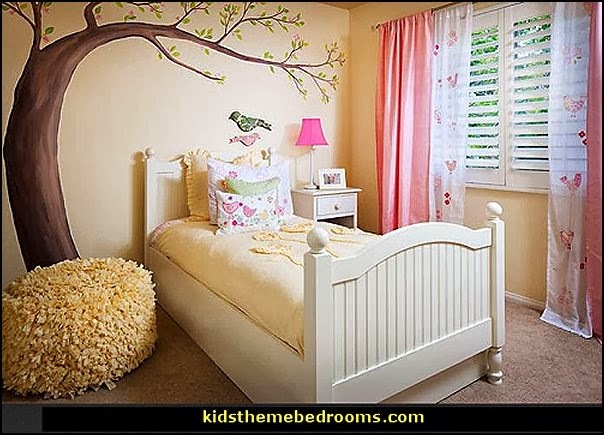 We love making it fun and easy to create your dream nursery decor that you’ll remember forever. This My Baby Sam Pixie Aqua crib bedding makes a fantastic gift - have a baby shower where everyone purchases a component. 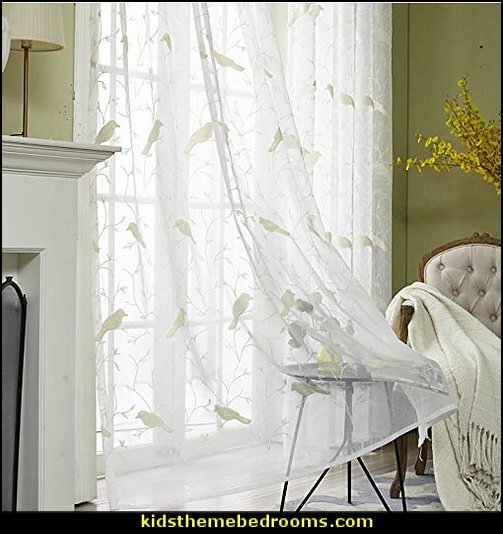 What a wonderful surprise for a new Mother! 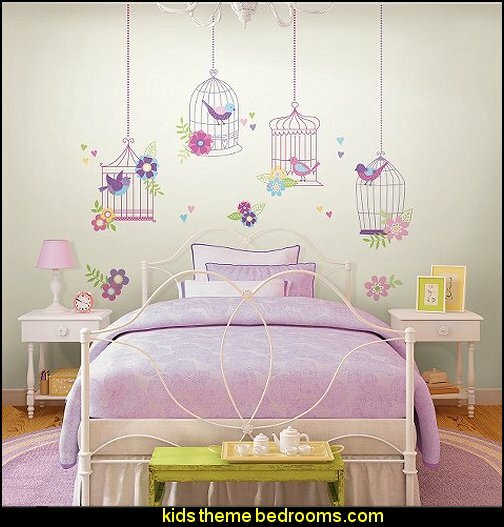 Celebrate your baby girl and enjoy creating a perfect nursery that both of you will love - they’re only babies once! 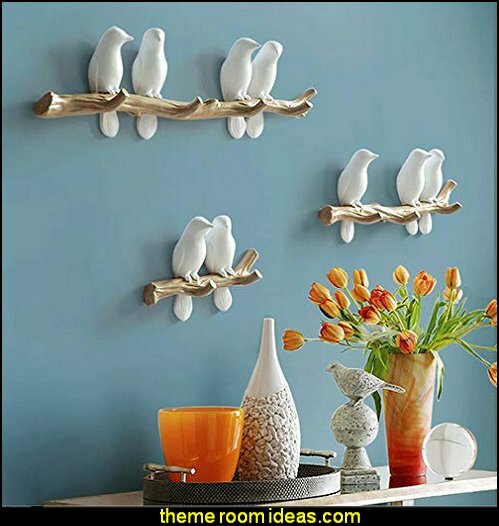 The unique bird designed wall hooks is an exciting fusion of decorative art and necessary function, so it will effortlessly become the focal point of any room. Sturdy enough to hold towels, robes, hats or jackets. Great at the front door for jackets, scarves. It’s a perfect catch for all. 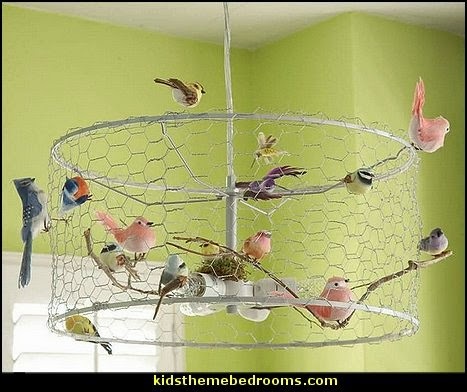 Sophisticated yet soft love bird collection. 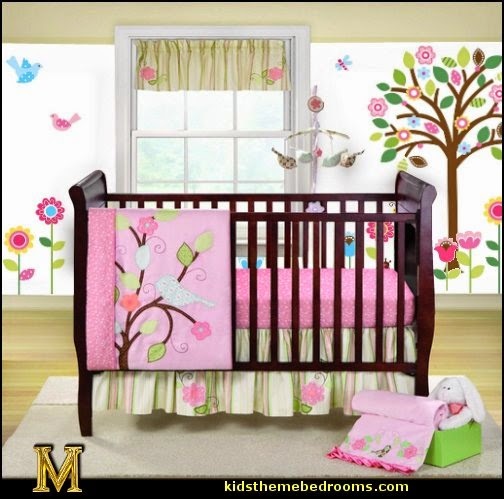 Embroidered birds, leaves and flowers embellish the lovely pink and yellow tones of this delightful crib set, which will enchant all little girls. 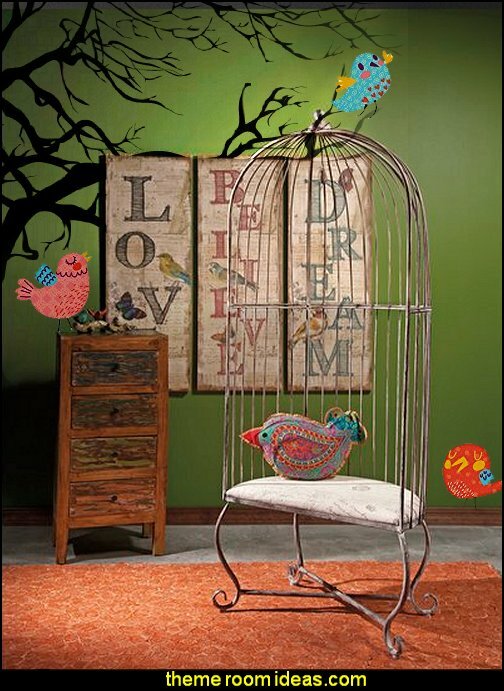 Perch these beautiful bird decals in and out of their pretty birdcages for an enchanted wall decor idea! 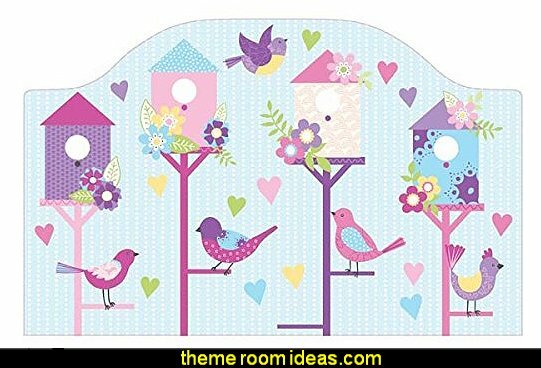 With a precious pink and purple palette, and sweet hearts and flower decals, the Chirping the Day Away vintage birdcage scene is truly darling. 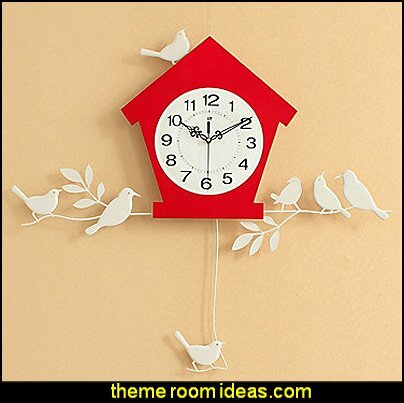 Add a happy touch to the room with this sweet bird theme peel and stick headboard. 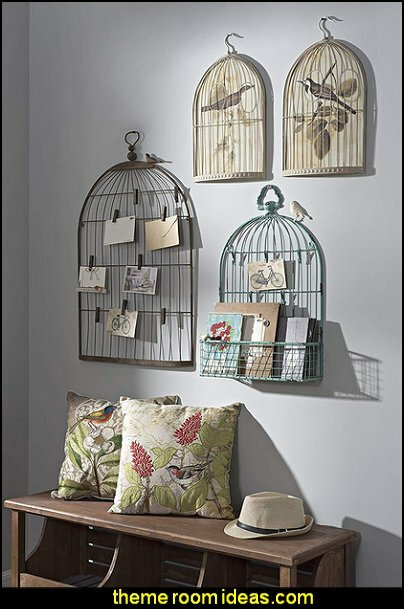 Perfect for your favorite family photos, this whimsical display stand offers a birdcage design that you are sure to love. 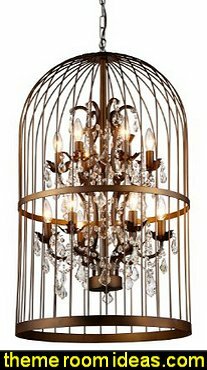 A rustic bronze finish adds to the antique-inspired appeal. 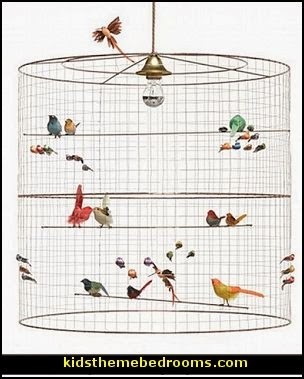 This novelty design includes stylized birdcages - with, of course, the occasional feathered friend. 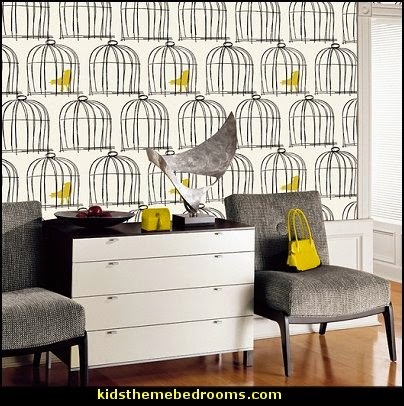 Trendy and retro designs are easily mixed in this fresh wallpaper. 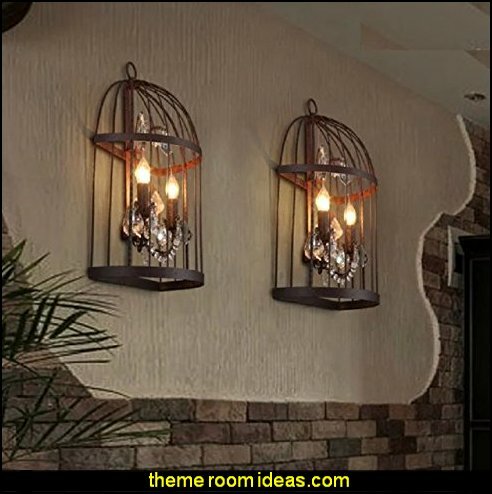 The clean matte backgrounds, bold colors, and touches of pearl inks make this a bold and sophisticated statement perfect for many rooms. Classic and modern, simple and sophisticated, Tres Chic is a collection that transcends time and style. 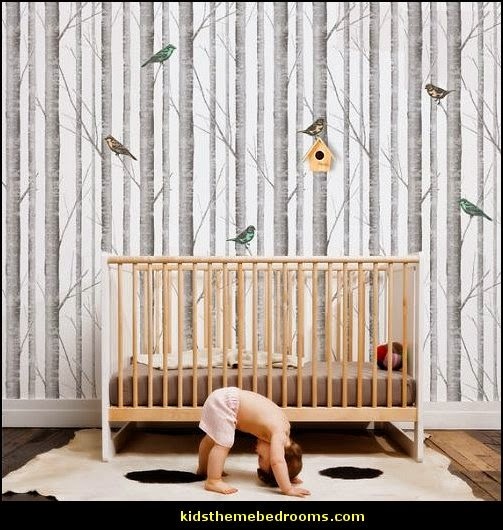 The simple elegance of black and white has been expanded into these stunning wallpaper designs from Ashford House. Fresh new color combinations and bold accent colors elevate this collection from fashionably modern to trés chic. 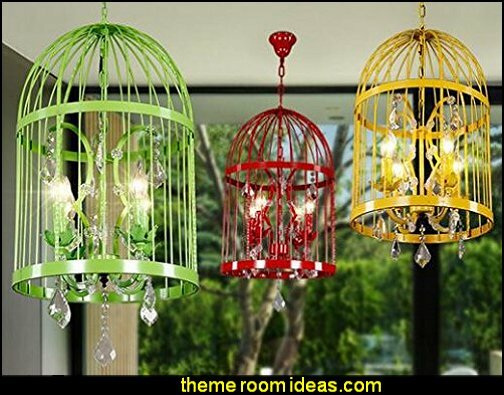 Get creative and decorate light fittings and bird cages, curtain rods, headboards ..... with craft foam birds, with an array of feathery friends perched on a wire, and for a little extra, accent with colorful silk flowers and greenery. 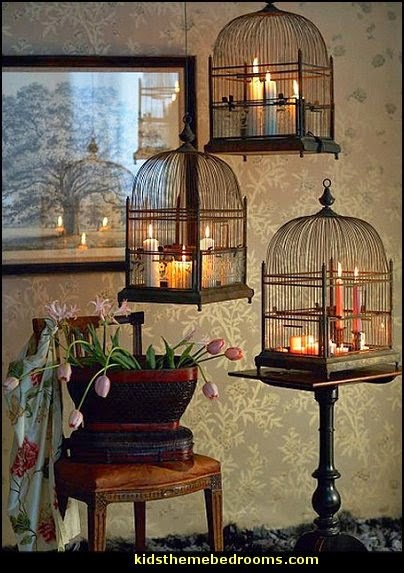 Creative use for bird cages ... decorated with candles for mood lighting. 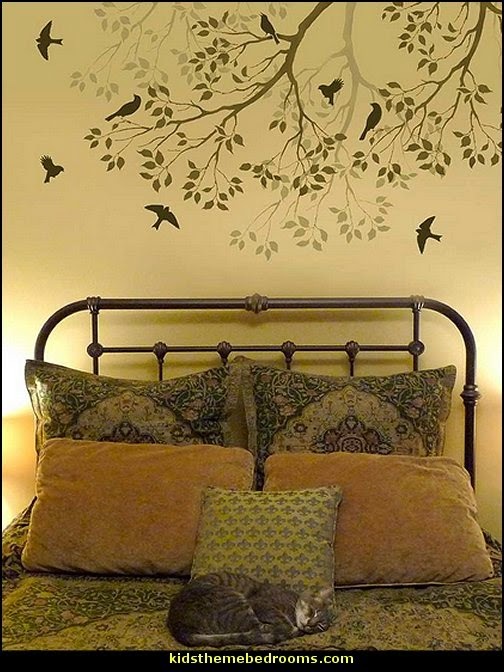 Ideal look for a vintage inspired bedroom. 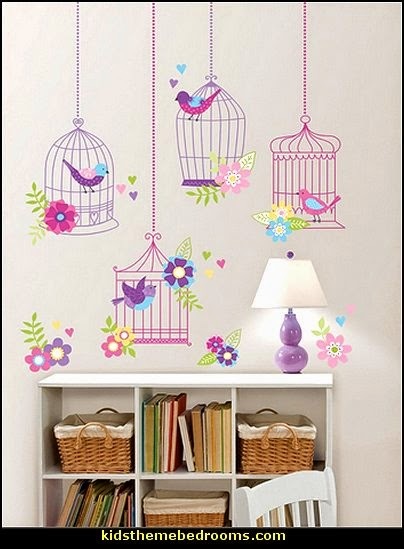 pring Songbirds Stencil is perfect for quick and easy wall decorating. 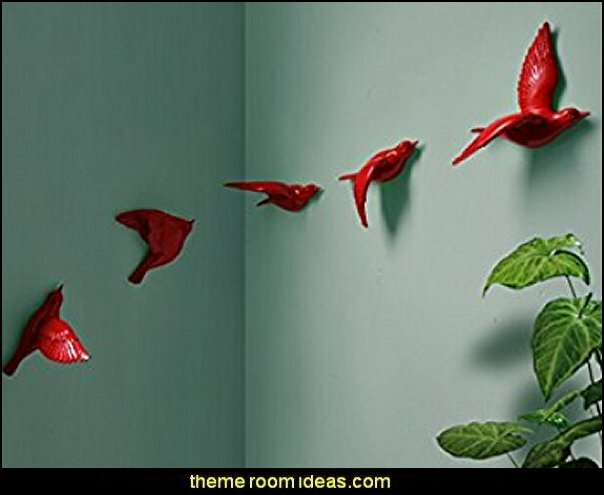 Try this stencil for your next DIY wall decorating project! 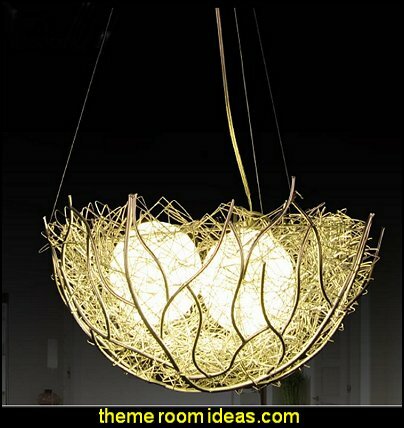 Perfect design idea for nursery decor, bedrooms, baths, dining rooms and more. Masha Allah <3 so beautiful. 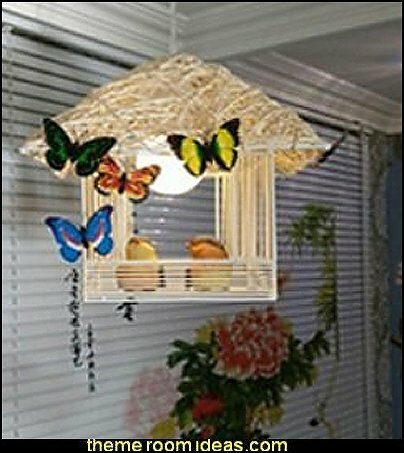 special the one bird cage which have candle and flowers inside of it and the bedroom with trees and birds flying wallpaper with cute cat sleeping, really amazing remind me of my own lovely home with my kitty cat in Afghanistan my country, really missing those days<3<3<3<3.